Yesterday I received 2 deliveries of brand new selection boxes for Christmas - both of which are a bit different and haven't been available before. 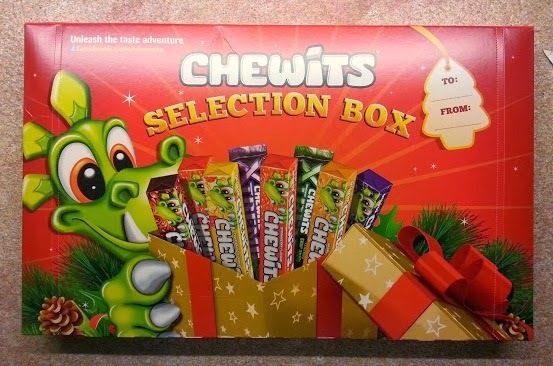 The first is a Chewits Selection Box which is available at ASDA and retails at £2. 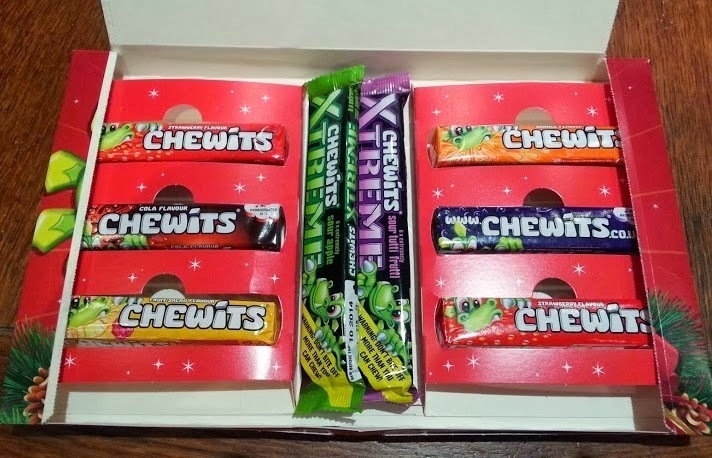 It contains 6 packs of Chewits in 5 flavours as well as 2 packs of the Chewits Extreme sour flavours. We really like Chewits because they're not only very tasty, they're also vegetarian, so all of my children can enjoy them (fight over them) together! I think this is an excellent selection box for older children and children who don't like chocolate. The price is excellent, not at all like a few years ago when you'd pay twice as much for the equivalent sweets because they were in a festive package. We did have one complaint from several of my children though - no ice cream flavour Chewits! 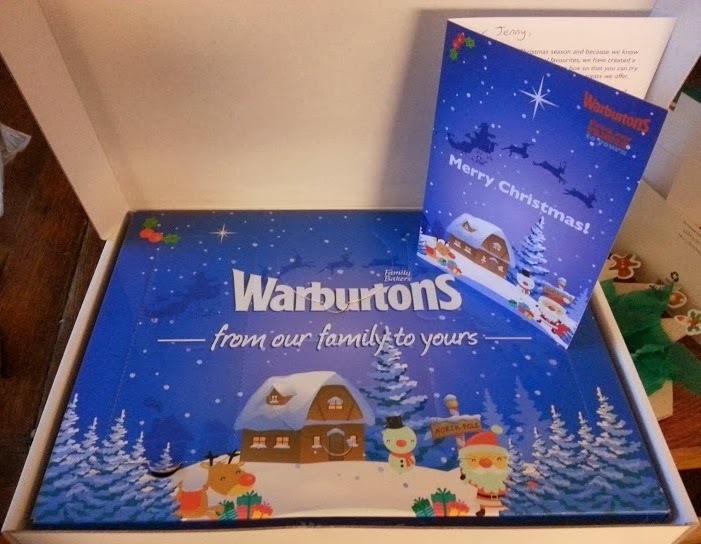 The second Selection Box I received was from Warburtons and was a complete surprise! I genuinely didn't know what to expect when I opened the first 'advent calendar style' door. 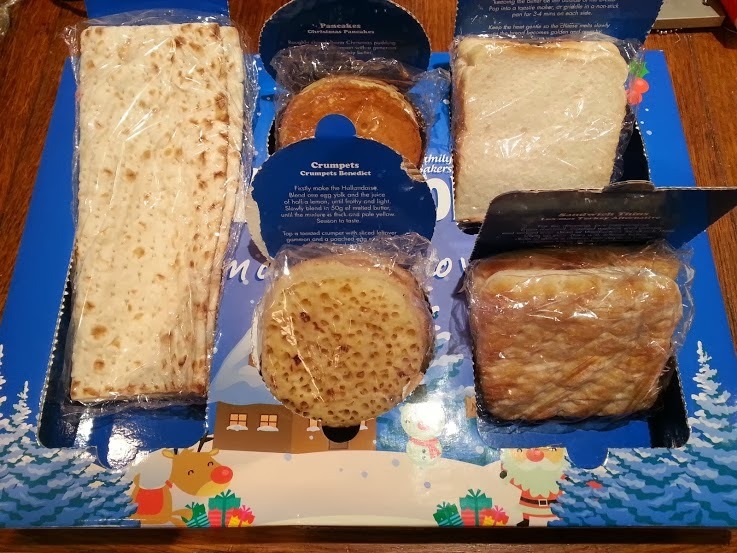 It has samples of 5 different bakery products - the pancakes and crumpets were gone within moments! They've been giving them away on their Facebook page and while they won't last until Christmas, they're really quite hilarious and got everyone in my house very excited over who was having what! Both of these selection boxes are a definite hit! Lots of fun in those two parcels! They are pretty awesome selection boxes! Not had Chewits for years... may need to go on a hunt now! !